Our products are exported to Europe,Asia,Africa and hot selling in many other countries and regions. Everything is flexible and there is no need to worry about extra charges by the middle man or trader. But usually we recommend a quantity based on the price which is easy to accept. 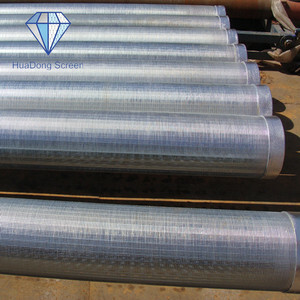 So Wedge wire screen is called as flat welded screen panel, cylinder wedge screen and sieve bens screen. 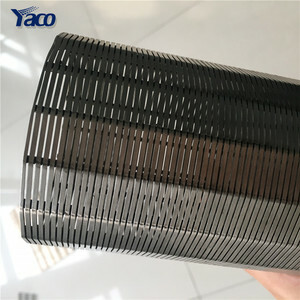 Wedge wire screen are producing by profile wire and support rods with the materials of galvanized steel, stainless steel and low carbon steel. Sieve Bend Screens consist of a concave curved profile wire screen mounted in a frame with the screen openings perpendicular to the flow. 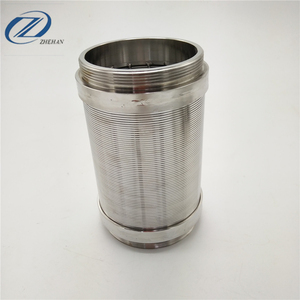 And be widely used in petroleum drilling, water drilling, water conservancy, subway dewatering, geothermy, oil refining, beer production process, Pharmacy, chemical, etc. 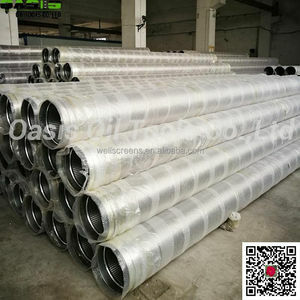 Stainless steel water well complete Wire cloth welded johnson screen Filtrations Direction The direction of the flow is determined by the position of the surface profiles in relation to the support profiles. 4. Low pressure-drop 5. 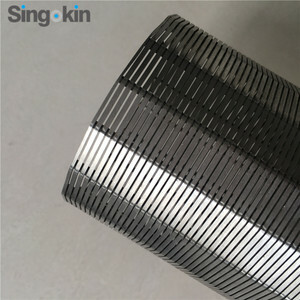 Strong construction: for most applications, the wedge Stainless steel water well complete Wire cloth welded johnson screen Q: Are you trading company or manufacturer 9 A: We are factory. Hebei Xun Qiang Wire Mesh Products Co., Ltd.
Wedge filter is welded with stainless steel wedge shaped wire and support bar. Major products include filter plate, filter basket and filter elements. We'll send back the courier charge if you make an order. Tianjin Shihong Pipeline Co., Ltd.
&bull; 3.Cou You supply the sample9 We could offer the sample for free charge but the cost of freight is extra. &bull; 5. How about the delivery time9 Usually within 3-15days after receiving the deposit; &bull; 6.Where is your Market9 We have been exporting to more than 120 different countries and regions all over the world. &bull; 7.How About your sales service9 Market promotion support and best after sales service will be offered to every customer, and help them get more new customers and orders. Due to using the newest welding technology we can obtain various distances between carrying wires, very accurate and repeatable gap and therefore produce screens according to customer&rsquo;s particular requirements. Otherwise, the rule of thumb for most applications is to size the slot at half the size of the smallest media particles, the exception being sieve bends where the slot is sized about twice the desired separation size. Screen can be manufactured with any slot from 0.025mm (with most wire profiles) up to about 10mm in 0.025mm increments; larger slots may be available constrained by wire profile and tooling. 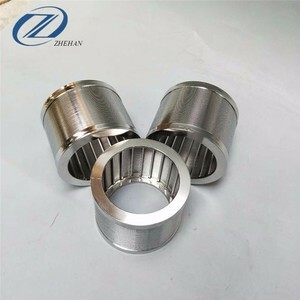 Shijiazhuang Manfre Metal Trade Co., Ltd.
Shijiazhuang Ji Er Kang Mechanical Equipment Co., Ltd.
Answer your questions and provide high quality products. Provide newest product information and prices. Company tenet: Quality first, Customer first. 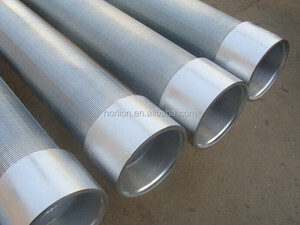 Alibaba.com offers 3,621 welded johnson screen products. About 54% of these are filter meshes, 1% are vibrating screen, and 1% are led displays. 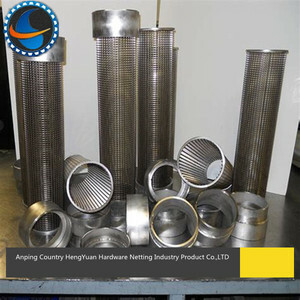 A wide variety of welded johnson screen options are available to you, such as filter cylinder, filter elements, and mine sieving mesh. 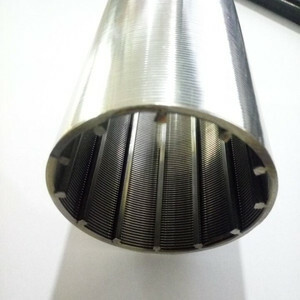 You can also choose from liquid filter, solid filter. As well as from square, round, and diamond. And whether welded johnson screen is free samples. There are 3,621 welded johnson screen suppliers, mainly located in Asia. The top supplying country is China (Mainland), which supply 100% of welded johnson screen respectively. Welded johnson screen products are most popular in Mid East, Africa, and South America. You can ensure product safety by selecting from certified suppliers, including 2,750 with ISO9001, 87 with Other, and 12 with OHSAS18001 certification.